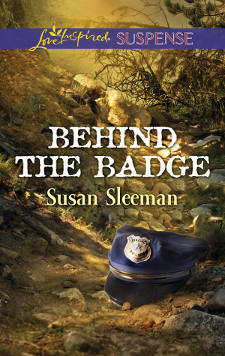 Here’s a fellow author, Susan Sleeman, who’s running a great contest on her website. The prize is a $50.00 gift card from Amazon.com. Go to her website and follow the directions. Basically you must read the short excerpt of her latest release, Behind the Badge, recently released from Love Inspired Suspense and answer one question. That’s it. But post your answer to the question on her website, not here. Then you’ll be entered in the drawing for the fifty dollar card. That’s it. One question. And good luck! Got any teenage girls at home? If you do, I’ve got just the author for you (and for them). K. Dawn Byrd has a new e-book release, called Mistaken Identitiy, available both from her publisher and from Amazon.com. Here’s the blurb for the young adult book and a few interview questions for K. Dawn. Mistaken Identity; Eden Morgan longs for a boyfriend of her own, an impossible goal when her best friend, Lexi Branson, gets all the attention and all the guys. When they fall in love with the same guy, Eden believes she doesn’t have a chance. She can only hope that sometimes the good girl gets the guy. 1) How did this story come to you? Sometimes I get the strangest ideas! I wondered what would happen if a not-as-pretty good Christian girl and her gorgeous non-Christian best friend fell in love with the same guy. Who would get the guy? 2) Tell us about the journey to getting this book published. I had already published several book with Desert Breeze Publishing when they opened a young adult line. I’d been writing romantic suspense and thought it would fun to try my hand at a young adult novel. It was so much fun that I’m signing a contract for a young adult mystery series that will debut in January. 4)What are you working on now and what’s next for you? I’m editing my October release with Desert Breeze. This Time for Keeps is an inspirational romance. www.kdawnbyrd.com and www.kdawnbyrd.blogspot.com I’m also on Twitter (kdawnbyrd) and facebook (K Dawn Byrd.) I am the moderator of the Christian Fiction Gathering facebook group (http://www.facebook.com/#!/group.php?gid=128209963444) If you join this group, you’ll get reminders about the weekly book giveways. Hello loyal followers of my anorexic blog…as many of you know I have been burning the old candle at both ends. And at my age, this is no easy task. My deadline for An Amish Family Reunion is July 1st and that date keeps looming ever closer. I have to tie up every loose end in this book with more characters than a Charlie Chaplin film! Wish me luck…one chapter to go, then a good go-over! BUT….you knew I wouldn’t wake you from this Rip Van Winkle sleep without a serious BUT…my fellow writing colleague has posted an interview of me on her blog. If you are a doll and post a comment, you could win a free copy of my latest book. Yes, that’s right…free. Please click on the link, read the interview and leave a comment. To the lucky one will go a free book. Thanks, and by the way…Casey is a doll!